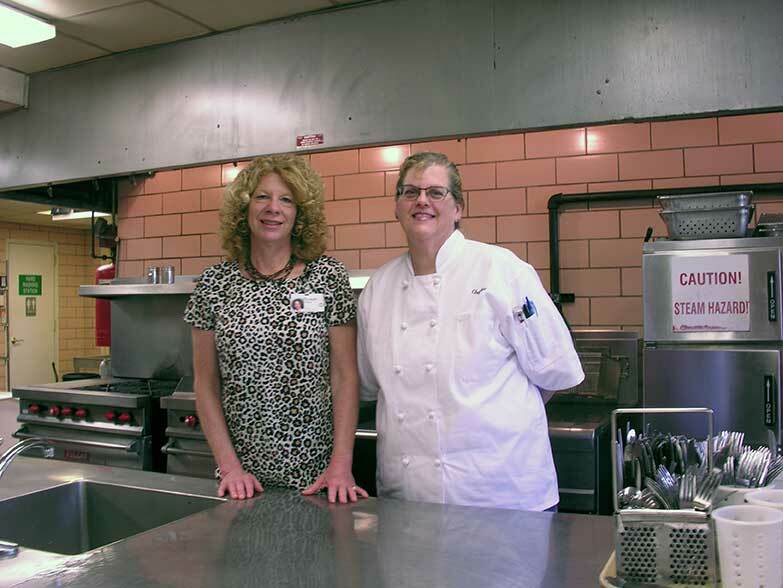 Susan Kremski (left), Director of the Food Services Department, and Chef Maureen Brooker pose in the Motherhouse kitchen. The Adrian Dominicans’ Motherhouse Chef Maureen (Moe) Brooker was awarded first place at the Culinary Creation Contest in Washington, D.C. The Motherhouse Chef won for her spicy chicken breast with pumpkin seeds and vegetable medley.